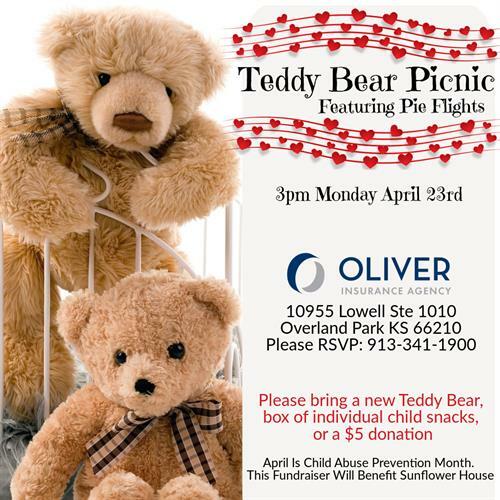 Help us gather donations for Sunflower House at our Teddy Bear Picnic. We’ll be collecting new Teddy Bears and boxes of individually wrapped snacks, or cash donations. Enjoy pie flights and make some great new connections. Please let us know you are coming so we have enough pie.